3.25 Absolutely amazing acres in a secluded park-like setting. An enchanted location you must experience for yourself! Just waiting for your dream home plans. Finally you get to chose what you want then sit back and let your contractor handle the details. From the moment you drive across the bridge and over the creek surrounded by majestic shade trees then opening up to the breath taking meadows you will be surrounded by nature and beautiful views. 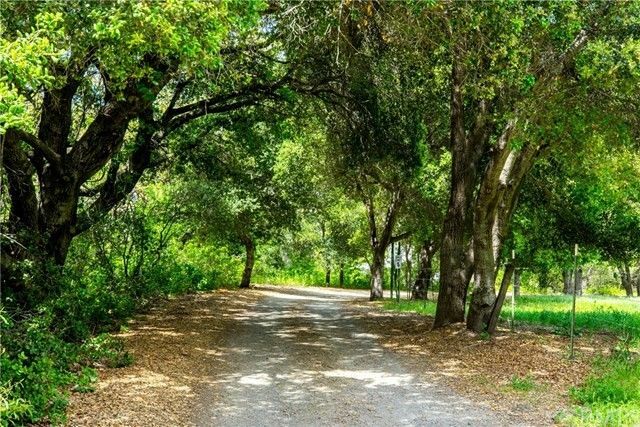 Private and secluded yet just minutes away from Avila Beach, world class golfing, hiking, biking and strolling along the serene Bob Jones trial. Join the Avila Bay Athletic Club to play tennis, swim, work out or just relax by the pool. 8 minutes away from down town San Luis Obispo bustling with restaurants, shopping and theaters. Voted Happiest places to live in America. Seller financing possible! Come see today! !